Sure CCleaner v5 looks a little less cluttered, but what really makes it worth downloading is the speed increase. The most noticeable thing about this latest release also helps to explain why I’m recommending it to fellow Windows utility connoisseurs and tool fanciers — namely, it’s gotten a definite and palpable speed boost. 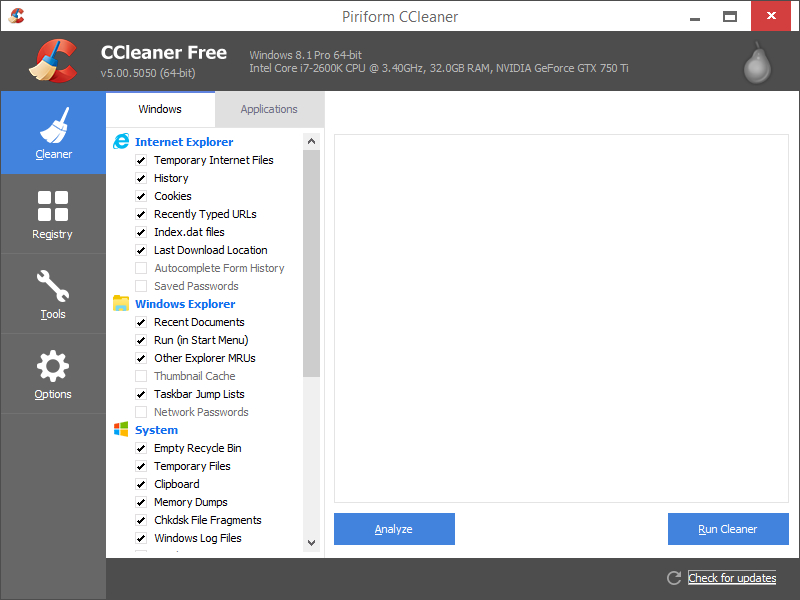 Because CCleaner cruises the file system to look for elements that could (or should) be deleted by way of clean-up, the speed of the tool is important to its users. My informal evaluation of the v4-vs-v5 versions is that the latest CCleaner incarnation is at least 30% faster than its immediate predecessor. In particular, it seems to buzz through the temporary Internet folders that Windows creates for Web browser downloads significantly more quickly than it used to. This makes the latest version entirely worthy of downloading and using, either to update already-installed versions, or to drop another nice new addition into your Windows toolbox. 1. Visit the Piriform CCleaner update page, then scroll to the bottom of that page. 2. Click the “No thanks” button at the bottom right of the page, to get to the Download page. 3. Scroll to the bottom of that page, and click the Builds link. Assuming that the difference between the standard installer version and the slim version is the third-party software included in the former and missing from the latter, there’s about 1.07 MB of material involved in that delta. I, for one, am perfectly happy to work through this process each time I must upload a new CCleaner version, because while I appreciate its capabilities I have no interest in the tagalong software that might otherwise make its way onto my desktop. I am using the free version of this software, Is there any benefit of purchasing the full version?